Small, two doors, with Italian flair? That's the Fiat 500. Take away the engine and add electric motors and a battery? That's the Fiat 500. With the 500e, Fiat keeps the same distinctive, cheerful Fiat looks as the rest of the range, all powered by gasoline, but replaces all the running gear with an electric motor that draws energy from a lithium-ion battery pack sited under the floorpan and rear seat. The 500e arrived as a 2013, but only to California and Oregon. It's viewed as a "compliance car" for the automaker; it exists largely to meet fuel-economy standards and its significant costs may mean that parent-company Fiat Chrysler Automobiles loses money on each one driven off dealers' lots. The Fiat 500e has been unchanged for three years leading into the 2019 model year. You have to be a Fiat 500 aficionado or owner to distinguish an electric 500 from the conventional versions, unless it's the one in a unique color combination of bright orange and shiny white. Aside from different frontal styling and an altered rear bumper (no exhaust cutout), the 500e uses the same body panels as any other 500 three-door. The recharging port is even housed behind the flap that usually covers a gasoline filler. The interior is only minimally modified as well. On the road, though, the 500e is a more refined, smoother, and better-handling vehicle than the gasoline models. Even Chrysler's own engineers seemed slightly startled at just how much fun it was to drive, and indeed it's far more of a driver's car than the larger and more appliance-like Nissan Leaf (which outsells it at least 10 to 1). It retains the standard 500's "flingability" and road-hugging handling, but it's better balanced because more of its weight is lower down in the car and the battery distribution means it has more equal weight distribution front to rear. Below 40 mph, the 500e is by far the quietest 500 model. The only noise you may hear, in fact, is tire squealing if you're driving it aggressively. Compared to its gasoline counterparts, it's sort of what a small urban runabout should be—without the compromises of having to work a small engine hard to keep up with traffic. In that respect, it's similar to the Smart ForTwo Electric Drive—which is a far better car than the gasoline version from which it was derived. 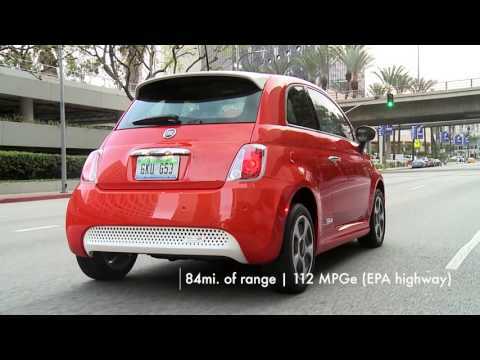 There have been relatively few changes to the Fiat 500e since its launch. In 2016, Fiat added a couple of new color choices and upgraded the infotainment system to the latest Uconnect 5.0 version. 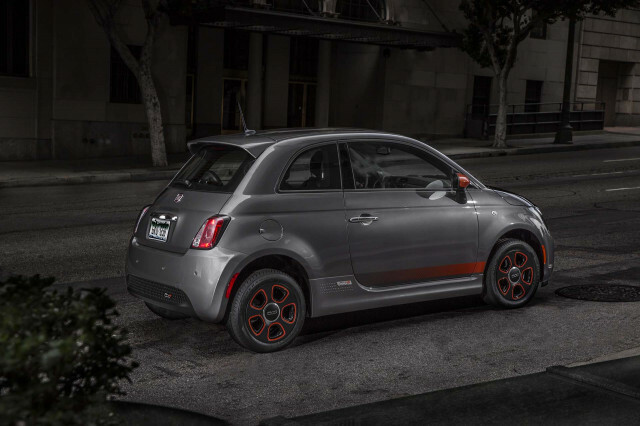 The 500e isn't offered in the two-door 500c Cabrio model, which has a roll-back cloth roof, but Fiat has nonetheless sold several thousand of the little electric cars in its several years on the market. The company refuses to release sales data, but based on a couple of recalls and other data, we estimate that Fiat may have delivered as many as 7,500 electric 500s through the 2015 model year. The base price of the Fiat 500e is by far the highest of any 500 variant, even the hot-rod 500 Abarth model. But as with most electric cars, the bulk of them are likely to be leased—and three-year leases have historically been a very cheap way to reap the rewards of far cheaper driving on electricity without having to worry about any battery-pack loss of capacity down the road. Traded in my 2012 FIAT 500 Sport for a 2016 FIAT 500e and what an upgrade!!! After four months of ownership, for me, worry about driving range was definitely unwarranted. Even before the installation of the level 2 ev charger at home, I was able to find an available public charging... After four months of ownership, for me, worry about driving range was definitely unwarranted. Even before the installation of the level 2 ev charger at home, I was able to find an available public charging station fairly easily. Definitely prefer having my own ev charger at home and would not recommend depending on public charging stations. If you are lucky enough to have an ev charger at work, then might be ok without one at home. Fun car to drive. Good value for the lease price. Cold weather reduces the range considerably. An excellent vehicle without having to look like an electric car.